I like this! 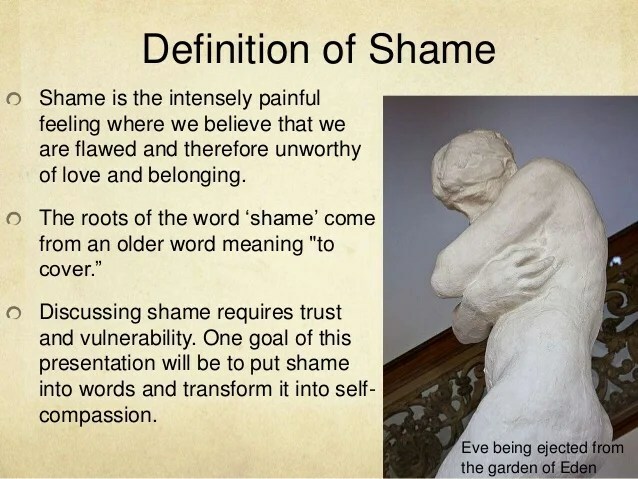 Lets eradicate shame!!! Shame doesn’t do anything positive. It doesn’t move a process along. Lets live in transparency not covered darkness! !